Q: What is an investment adviser? A: Investment advisers are in the business of giving advice about securities to clients. For instance, individuals who receive compensation for giving advice to a specific person on investing in stocks, bonds, or mutual funds, are investment advisers. Some investment advisers manage portfolios of securities. Q: What is the difference between an investment adviser and a financial planner? A: Most financial planners are investment advisers, but not all investment advisers are financial planners. 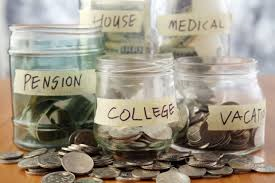 Some financial planners assess every aspect of your financial life - including saving, investments, insurance, taxes, retirement, and estate planning - and help you develop a detailed strategy or financial plan for meeting all your financial goals. Others call themselves financial planners, but they may only be able to recommend that you invest in a narrow range of products, and sometimes products that aren't securities. Before you hire any financial professional, you should know exactly what services you need, what services the professional can deliver, any limitations on what they can recommend, what services you're paying for, how much those services cost, and how the adviser or planner gets paid. For information about the differences among brokers, investment advisers, and financial planners, read Cutting Through the Confusion: Where to Turn for Help with Your Investments, which is available on the website of the North American Securities Administrators Association. Q: What questions should I ask when choosing an investment adviser or financial planner? What licenses do you hold? Are you registered with the SEC, a state, or the NASD? Be sure to meet potential advisers "face to face" to make sure you get along. And remember: there are many types of individuals who can help you develop a personal financial plan and manage your hard-earned money. The most important thing is that you know your financial goals, have a plan in place, and check out the professional you chose with your securities regulator. Each compensation method has potential benefits and possible drawbacks, depending on your individual needs. Ask the investment advisers you interview to explain the differences to you before you do business with them, and get several opinions before making your decision. Q: Do investment advisers have to register with the U.S. Securities and Exchange Commission? A: Depending on their size, investment advisers have to register with either the SEC or the state securities agency where they have their principal place of business. For the most part, investment advisers who manage $25 million or more in client assets must register with the SEC. If they manage less than $25 million, they must register with the state securities agency in the state where they have their principal place of business. Q: How do I find out whether an investment adviser ever had problems with a government regulator or has a disciplinary history? A: Most investment advisers must fill out a form called "Form ADV." They must file their ADVs with either the SEC or the state securities agency in the state where they have their principal place of business, depending on the amount of assets they manage. The ADV consists of two parts. Part I contains information about the adviser's education, business, and whether they've had problems with regulators or clients. Part II outlines the adviser's services, fees, and strategies. Before you hire someone to be your investment adviser, always ask for, and carefully read, both parts of the ADV. You can get copies of Form ADVs from the investment adviser, your state securities regulator, or the SEC, depending on the size of the adviser. You can find out how to get in touch with your state securities regulator through the North American Securities Administrators Association, Inc.'s Web site or by calling (202) 737-0900. Ask your state securities regulator whether they've had any complaints about the adviser, and ask them to check the CRD. Q: What should I do if the financial professional claims that he or she is "certified"? A: If the professional you're considering claims to be a CFP® certificant, you should also visit the website of the Certified Financial Planner Board of Standards, Inc. to see if the professional is, in fact, certified as a CFP® professional and whether the professional's certification has been suspended or revoked by the CFP Board. You can also call the CFP Board at (888) 237-6275 to obtain other disciplinary information about the professional. Q: Are investment advisers required to have credentials? A: While some investment advisers and financial planners have credentials -- such as CFP® certification or CFA (chartered financial analyst) -- no state or federal law requires these credentials. Unlike federally registered advisers, many states do require their advisers and representatives to pass a proficiency exam or meet other requirements. Investment advisers and financial planners may come from many different educational and professional backgrounds. Before you hire a financial professional, be sure to ask about their background. If they have a credential, ask them what it means and what they had to do to earn it. Also find out what organization issued the credential, and then contact the organization to verify whether the professional you're considering did, in fact, earn the credential and whether the professional remains in good standing with the organization. For information on various financial professional credentials and the entities that issue them, please visit NASD's website and read Understanding Financial Professional Designations.